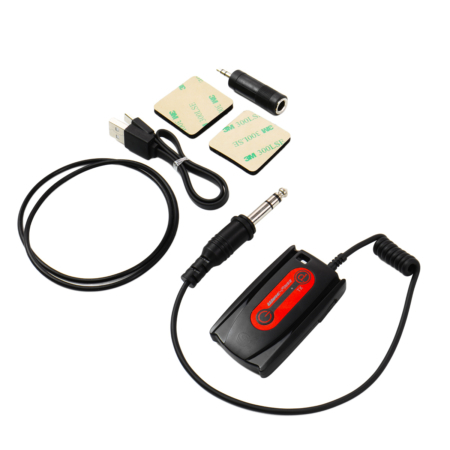 Quest Wireless Audio Transmitter T6 with 1/8″ Plug. The transmitter is easy to attach & secure- and works with any metal detector with a 1/4″ audio jack or 1/8 using the adapter. 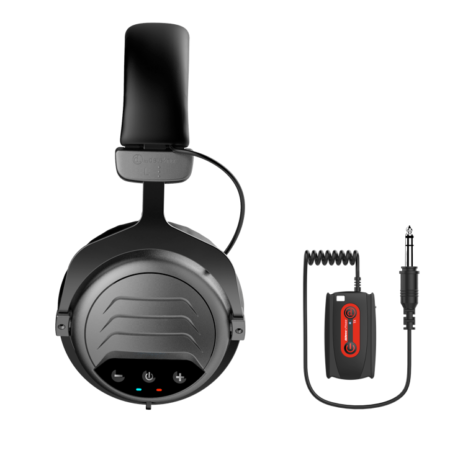 Now you can upgrade your metal detector with a pair of Quest wireless headphones just like the high end metal detectors in seconds! 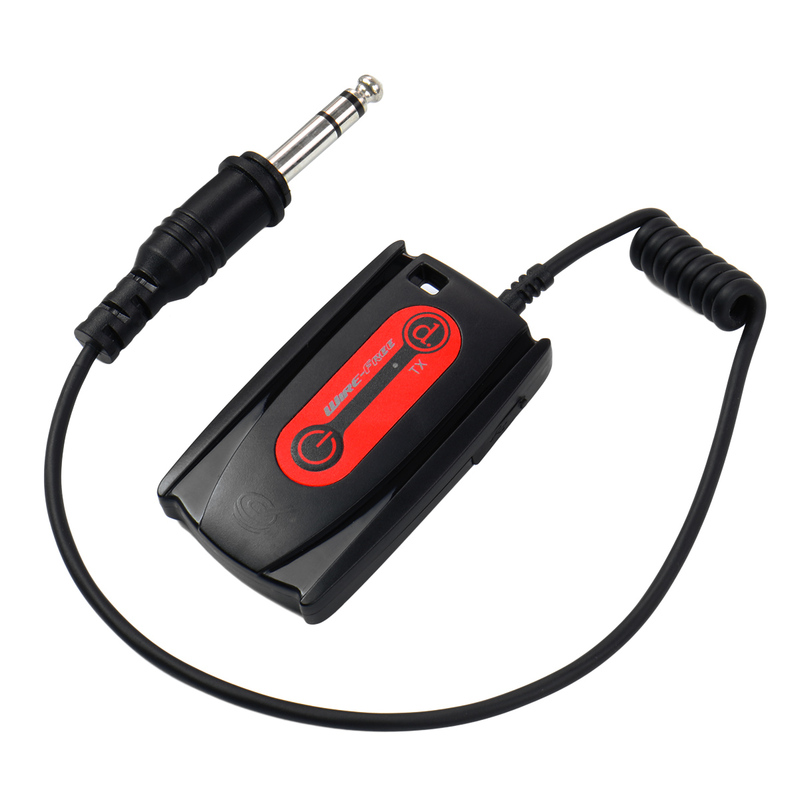 It fits all detectors with a 1/4″ audio jack. 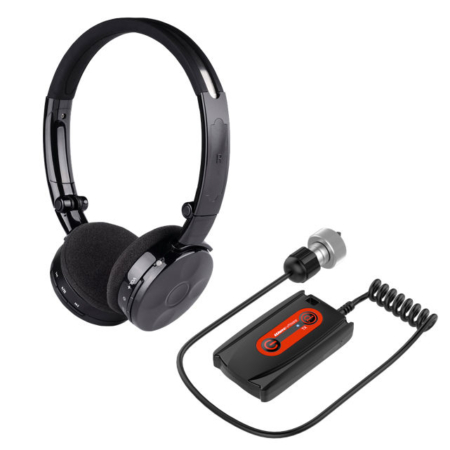 The digital audio processor enable it transfer the best quality signal to the chosen Quest headphones. The wireless controller is water resistant so you don’t have to worry getting it splashed on. 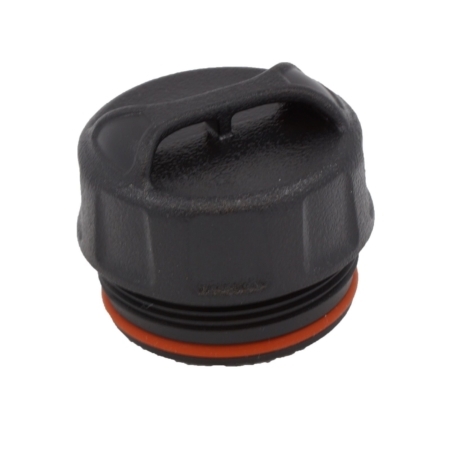 Connector: 1/4″ Standard audio connector. Accessories: Adapter, USB recharging cable, mounting gear.